This Wednesday physicist Leonard Susskind of Stanford University will give a non-technical, illustrated talk on The Black Hole Wars: My Battle with Stephen Hawking. No background in science will be required for this talk or having seen Disney’s The Black Hole. For two decades, physicist Susskind battled cosmologist Stephen Hawking over the behavior of black holes. Hawking’s theory is that when information falls into a black hole it is permanently lost to the outside; also, that black holes evaporate. It happens very slowly but the black hole does emit particles, and eventually disappears. Susskind’s theory is that the horizon of a black hole (a two dimensional surface like a film) somehow stores all the information that ever fell into the hole. He also theorizes the photons and other particles carry away every bit of information during evaporation of the black hole. Stephen Hawking now agrees that the information is not lost when a black hole evaporates. This is a non-technical talk but how can you not be excited about particle physics, event horizons, quantum mechanics, and holographic principles? Parking lots 1, 7 and 8 provide stair and no-stair access to the Smithwick theatre. To the runners preparing for the Rock ‘N’ Roll Half-Marathon this Saturday, Oct. 5: Good luck! To the motorists planning on driving through the city this weekend: Good luck! You will meet plenty of road closures, clogged freeway exits and a lot of athletic-type people running around. They get their exercise while you continue to pollute, which makes these traffic headaches even more guilt-inducing. No freeways will be closed on race day; however, expect delays on Highway 87 near downtown and Highway 880 near Bascom Avenue due to the close proximity of the race course to those roads. Due to close proximity to the finish line at Plaza de Cesar Chavez, allow extra time for alternate access and expect delays before the race starts (7- 8:00 am). Use the following access route during the race (8:00 am – 12 Noon): From San Carlos Street, use 1st and 2nd Street to connect with San Fernando Street. Hotel guests will be metered in/out on Market Street. and right onto Notre Dame Ave.
Cherrystone Drive to exit this part of the route between 7:00-11:30 am. This week from Sept. 27-Oct. 4 kicks off an annual celebration of freedom of thought and speech — Banned Books Week. 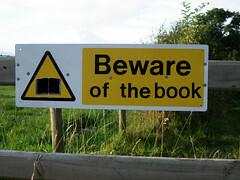 Check out the American Library Association’s website on banned books here, check out a list of frequently banned books here and here, or become a fan of Banned Books Week on Facebook or Myspace. Leonardo: 500 Years into the Future represents the pivotal unity of art, technology and science of Leonardo da Vinci, Filippo Brunelleschi and the Sienese engineers of the Renaissance. This is a world premier and exclusive U.S. showing at the Tech Museum beginning this Saturday September 27 and running through January 25, 2009. Leonardo di ser Piero da Vinci (1452 – 1519) was an astronomer, sculptor, geologist, mathematician, botanist, animal behaviorist, inventor, engineer, architect, musician, and painter. Leonardo is probably best known as the painter of the Mona Lisa and The Last Supper. Leonardo’s formal training in the anatomy of the human body and skill as an artist allowed him to make more than 200 drawings of the human body, visible anatomical features as well as internal organs. As an engineer, he drew plans for the submarine, helicopter, parachute, human powered flying machine, toothed wheels, pulleys and pulley blocks, crankshafts, flywheels, springs, shock absorbers, scissors, and the list goes on. The exhibition, covering 30,000-square-feet in Parkside Hall, has a plethora of exhibits including art, sculptures, drawings, architectural projects, machines and mechanisms, anatomy, and aviation. The life-sized and scale working models are based on conceptual drawings and designs by Leonardo, Francesco di Giorgio, Mariano di Iacopo (Taccola), and others. These models recreated using tools and materials common in Leonardo’s time. Most of Leonardo’s machines were never built in his lifetime, as many could not have been built due to the lack of suitable parts. 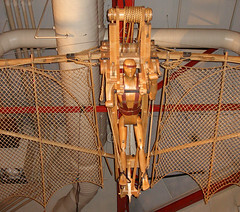 On display is a model of Leonardo’s Flying Machine where the wings are driven by back pedals, which the flier operates with alternating leg motions. The effect of this thrust is amplified by the hand-operated crank, which powers a hoisting device. Bring your wide-angle lens. There is a cool planetary clock designed by Lorenzo della Volpaia. A planetary clock is not to keep time but to show the position of the heavenly bodies relative to the Earth, so that astrological influences could be calculated with precision. Two Renaissance paintings by Leonardo’s disciples are included in the exhibition – Leda and the Swan and The Virgin and Child with St. Anne. The curator of the exhibition is Leonardo da Vinci expert, Paolo Galluzzi, Director of the Institute and Museum of the History of Science – Florence, Italy. Advanced “timed” tickets are required. Allow a minimum of two hours for the exhibition, as there are numerous displays and multimedia presentations. Advance ticket sales have already exceeded last year’s Body Worlds exhibit. This is a must see for the entire family. The 2nd Annual Let the Children Play Music Festival, a benefit concert for Feed the Children and Milagro Foundation is this Saturday. 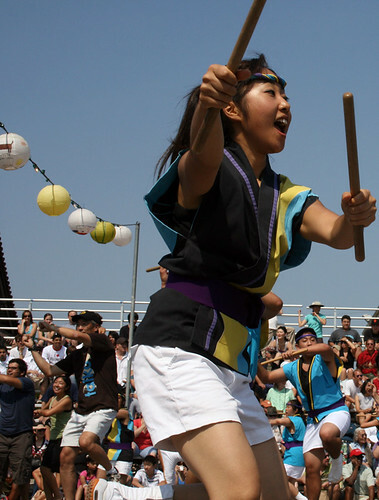 There will be continuous live entertainment on the main stage, a variety of food, arts & crafts, and numerous activities for the kids including games, activities, interactive booths, and prizes in the Radio Disney area. Proceeds from this years benefit concert will help in the goal to feed a million meals and more to those in dire need in the Bay Area and in the U.S disaster relief zones. Heart of Chaos artists will be creating a mural themed Feed the Children and collaborating with Heart of Kids artists on a separate mural themed Let the Children Play. Attending children are encouraged to participate in an open themed community mural. The Heart of Chaos and Heart of Kids murals will be auctioned off during the event. All proceeds from the auction will be donated to Feed the Children. Last year the event was free, this year it is $5.00 (children ages 12 and under enter for free). All you have to do is fill out this card for your free admission. I confess, I didn’t know half of these museums existed until just now, so if the Smithsonian’s sole goal is to expose the public to museums, it already worked. There’s more on this California list of participating museums, including some heavy-hitters like the J. Paul Getty Museum in L.A. and Mission San Juan Capistrano. Or you can find other museums nationwide that are participating, including (obviously) all the Smithsonian museums in Washington, D.C.
It’s unfortunate to not see any San Jose city museums participating, but such is life. I know of at least one SJ museum that will be very busy this weekend. The September (Autumnal) Equinox occurred this morning at 8:44am, the time when the sun crosses the equator. Equinox derives from the Latin words meaning “equal night” is either of the two times during the year that the sun crosses the celestial equator and appears directly above the equator that divides the earth into the northern and southern hemispheres. When this occurs, the length of the day and the night are approximately equal at every place on earth. Day and night during the September equinox is not exactly equal length. There is anywhere from six to more than ten minutes additional daylight. The sun appears south of the equator in the time between the September equinox and the March equinox. At an equinox, neither Earth’s north pole nor its south pole is tilting away from or toward the sun. Both poles are more or less evenly illuminated. The September equinox marks the beginning of northern hemisphere autumn and southern hemisphere spring. At least we usually have agreeable weather through October. A rainy winter would be nice to help do away with those drought concerns. Then, back to spring and summer!